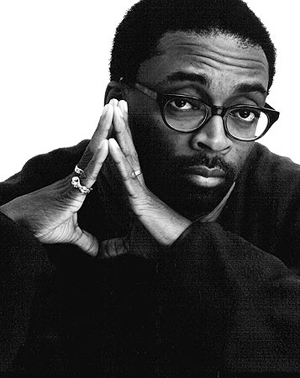 No real comment about Spike Lee (I did the right thing), but what’s b.c.e. and c.e.? “Before the Common Era” and “the Common Era.” Or as some of us insist on saying, “B.C.” and “A.D.” It’s a silly P.C.-academic effort to de-Christianize Western culture (and ineffective even on its own terms — as if it somehow decenters Christ to call it “common,” and as if we can still using the same year numbers and yet not be dating all of human history with reference to the birth of Christ). Is this always the case? I have frequently heard ‘bce’ expanded to mean “Before the Christian Era,” the shift intended more to signify legitimate questions as to whether or not Christ was born in Year Zero (vs 3 or 4 bce, as some have hypothesized). But I have been wrong on these matters before. Well but that’s back formation that came later, which indicates it wasn’t the reason. And neither term has anything with the uncertainty over the exact year of Jesus’s birth, which has been acknowledged for centuries. That year on the Roman Julian calendar was fixed by a 6th century monk named Dionysius (it’s not known how). There was no unanimity even at the time among the Church Fathers. It’s always been understood as a traditional convention, which is all a calendar needs to be. Unfortunately, stopped-clock Lee might be right. We’re on the verge of electing our first anti-American president. Is calling Obama ‘anti-american’ (presumably without irony) a case of judging him by the company he keeps? If so, should I begin judging Victor by the company he keeps? The company I *actually keep,* on the grounds on which I keep it … no special reason not to. It is generally true of all that a man’s company reflects upon him. But to what I suspect you’re really saying — part of the reason there’s so much fascination about Obama’s associates, with almost none on McCain’s, is that four years ago, Obama was a political unknown. Is calling Obama ‘anti-american’ (presumably without irony) a case of judging him by the company he keeps? Nope. Just my obnoxious opinion. Ah, an opinion. And if it is my opinion that you are a delusional, bible-thumping racist, would it be proper to spread such an extremely presumptive, insulting and ill-informed opinion without providing any semblance of an argument for it? More to the point: why do you find Obama to be ‘anti-american’ in a way that, say, Bill Clinton (which I’m going to go on a limb and assume you don’t agree with politically and find morally reprehensible) was not? This is not a rhetorical question; I’m absolutely, unironically interested in the mindset of your particular demographic group. Sure. Have at it. Have a nice day.